Main changes this week: Uranus is now retrograde in Aries, and Venus retrograde in Virgo enters back into Leo on Friday. It’s also a Full Moon in Aquarius on Friday to end off the month of July. Finally, Saturn stations direct on Sunday. With Uranus now retrograde in Aries there can be a stronger sense of individuality as this week begins. The need to feel independent and free becomes more personal. If you have anyone that insists on getting in your bubble, the rebel can appear out of nowhere to declare needed personal space. A need for more individual space, can also have you become more aware of how you relate to others as you define your bubble. A need to connect with groups and interests you strongly identify with can draw your attention this week. There can also be tension with family this week. As we all know, family can get a little too close to our own personal bubbles. Teenagers especially know what it feels like to go through the rebellious stage as they seek out their own identity apart from immediate family conditioning. If you have a bit of a tiff with family members or those close to you, it likely won’t last that long, but it can certainly feel grating in the moment. When you feel like someone is being invasive, dominating or demanding in their approach towards you, it can cause the natural protective reaction to create distance. Walls can go up when you feel like your identity is for you to define, and you shouldn’t have to answer to anyone else’s questions. With Uranus retrograde in Aries connecting with Mars in Cancer freedom fighters will be charged with emotions and guided by intentions for new starts. This is a time to find inspiration and expression that you identify with as uniquely your own, regardless of what others may expect or demand of you to fit into their expectations. This is time to renew yourself and enjoy the unexpected inspirations that help you define yourself more clearly. Personal revolutions can begin for many of us now. Last week, we had Venus station retrograde at the very early part of Virgo. Venus retrograde will remain in Virgo until Friday this week. Loving and honoring your body as your temple is an important part of self-awareness now. Health and wellness practices get more in focus. Yoga is an excellent practice to work with now to bridge mind and body, especially if you’re the type of person that thinks a lot and generally lives in your mind more than your body. I talked a lot about this in last week’s horoscope you can enjoy here for a recap. Do you remember looking up into the sky a couple of weeks ago when big and bright Venus and Jupiter were close together after sunset? 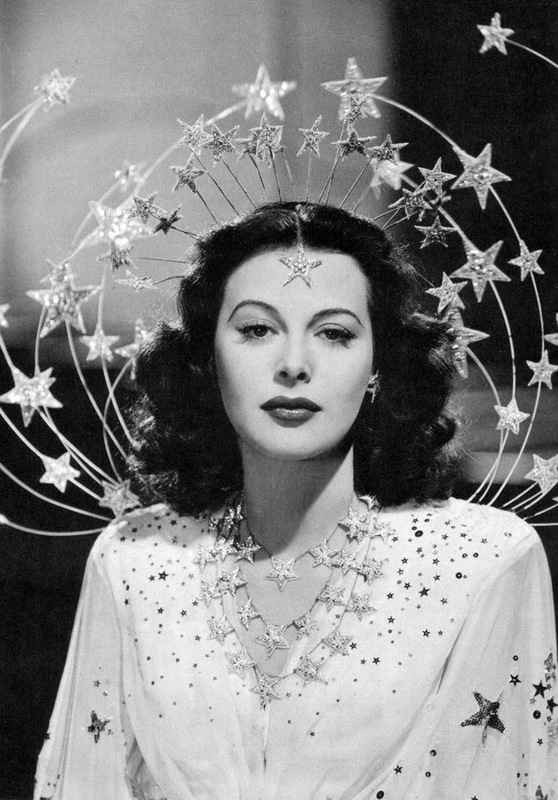 Well, you’ll notice she’ll be heading back towards Jupiter again as she retrogrades. This will be a lot of fun to watch for stargazers this summer. These two dancing in the sky together indicates that we find our blessings and abundance in love and the material world now. It can be a great time to rekindle that attraction and spark in relationships. Venus retrograde in Virgo asks us to reconsider what you are worrying about and why. Worry closes the heart and so if you are the type of person who tends to worry, you may need to take another look at your health and your routine. How can you open your heart chakra so that love and trust can flow more freely within you? You can reduce stress and anxiety and find natural, healthy, organic ways to heal yourself so that you can become more tuned to having an open heart. Wouldn’t you love to feel open and alive instead of stifled and closed down by worrying thoughts? This is the time to make the change. Meditation practice on the heart chakra is a wise choice now. It’s officially a Full Moon in Aquarius on Friday, July 31, 2015 at 6:43 a.m. ET. This Full Moon stands across the sky from the Sun in Leo. This is an excellent time to find your mode of expression that is truly you. What do you hope for in your life? Find that hope and focus on it as part of your path to individualization now. Uranus retrograde, as mentioned earlier in this report, is reflecting our need for individuality and self expression that is uniquely our own. This is something to be proud of and it can take great courage to shine bright as you truly are. Your hopes, wishes and dreams contribute to the collective consciousness. We are building up to this Full Moon in Aquarius this week, so enjoy finding your quirks of personality that you are proud of regardless of what anyone else thinks of you. Be the star. Shine bright as you are. When you are able to go within and tap into your enthusiasm and renew who you are, you can’t help but shine. This is a time to feel free, and if anything tries to stop you from that, let yourself shine even brighter. This can be a great time for social reform and humanitarian endeavors that are determined to liberate people. Inventors and scientist can have light bulb moments now that lead towards significant breakthroughs and realizations. Friendships are important this week. Anyone that coincides with your vision or respects your unique qualities are best to connect with now. Those who allow you to flourish can be your best friends and allies. It’s a great time to create a vision board of qualities and characteristics you relate to and would like to accentuate as part of your personality now. Also on Friday, Venus retrograde goes back into Leo at 11:27 a.m. ET. That’s just a few hours after the Full Moon in Aquarius. Leo is getting all the love. Remember that Leo is a part of all of our charts; the planets and signs are symbols that represent various aspects and archetypes in all of us. Venus retrograde in Leo is in close orb to squaring Saturn in Scorpio as well. This speaks highly to the law of attraction. A lot of people consider Venus to be highly passive, and symbolically waiting for things to come to her. But remember, that Venus is about attraction, and “action” is a part of that word for a reason. There is magnetism with Venus, but she is also present, with an open heart and that sends out energy and signals that participates in the whole process. Venus and Saturn are very earth oriented and so they remind us of how and what we manifest in the world by what we do and who we are being. There is a lot of karmic energy happening now with Venus retrograde reaching out to Saturn. There is much to learn this week in how we feel love within ourselves. The creative energy that we may have stifled for so long is asking for our attention so we can grow into being more full expressions of ourselves. This is about being very honest with ourselves about how we hold ourselves back and what the internal processes are that bring up our fears and doubts. Now we have the opportunity to bring more love and joy into our lives, but that happens more fully once we admit where our fears have been, so we can remove the barriers to our happiness. As Venus reaches deeper into Leo we’re going to get much more in tune with our personal creative processes. This is why Venus in Virgo for the past 2 week period has been so important in setting the stage for us all, so that we can get our lives in order and become more organized so we can create that inner framework and connection to our creative, artistic, inspired selves. Bringing more love into our practical day to day activities gives us that framework to flourish. What are you here for if not to create and to love? *I have so much to say about all this. 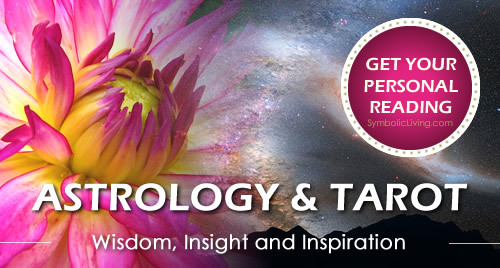 I hope that my upcoming horoscopes inspire you to live more fully and creatively. If you would like a Personal Reading of your chart you can learn more here. To finish off this week, Saturn stations Direct in Scorpio on Sunday at 1:56 a.m. ET. This is the last stint of Saturn in Scorpio for many years to come. You may remember a few months ago Saturn entered Sagittarius briefly before going retrograde and reentering Scorpio. Well, now Saturn direct will finish off his journey in Scorpio and enter into Sagittarius once again in mid-September. So, while Saturn is finishing off his retrograde phase in Scorpio, Venus has been reaching out to Saturn, reminding us that love wants to be a bigger part of our lives, through all our doubts and limitations. Love is something we can work for. It doesn’t just fall in our lap. Love comes from sharing, learning to trust, and to honor honesty. Saturn has been reflecting how we must go deep into our psyche’s to find out what our truth really is, to dig up the dirt and uncover who we really are. Through the process we may have dug up some of the ugly parts of ourselves that we usually like to hide or forget about, but it is only when we face the not-so-nice parts of ourselves that we get to acknowledge and change them, and fill ourselves with self respect and love for living honestly. You can think of Saturn now as finishing off his descent into the underworld and getting ready to rise back up towards the light of inspired learning. Forgiveness of ourselves and others helps us rise above what was. You may find that doing a personal ritual helps you clear away and transform what you are ready to change in your life. Scorpio has a magical side to it, and Venus in Virgo for most of this week also speaks to ways we connect to the earth and perform practical tasks. You could simply burn some essential oils or incense that coincides with an intention you’d like to set for yourself, or do something more elaborate and theatrical to bring your creativity into the picture. Let your day to day way of life reflect your intention of using your time in this world in more loving ways. How is love in your actions? This is about bringing more love into the karma you are creating for yourself so you can let go of what was and renew yourself as you look forward. This can also speak to money matters and materialism as well, so this would be a great time to get your financial picture in order and make a practical, organized plan towards getting yourself out of debt. Finally, Venus in Leo is in a positive trine with Uranus in Aries on Sunday. This is all about you loving yourself, creating your life and becoming the personality that defines you more authentically. It is time to love yourself. Enthusiasm is liberating. Aries: This is a week to redefine yourself. Standing up for yourself may be asked of you this week. Personal reflection can determine your outward expression. Realizing who you are and where you stand gives you self empowerment you can feel. If a soft spot is challenged, it will only strengthen your personality and give you more resolve. This is the beginning of an internal shift for you, so you may not be fully aware of how you’re changing. But you should have glimpses of a growing sense of inner freedom and excitement about being truly you. A vision board can help you explore your creativity and hopes this week. A revolution in self-worth is due to begin. Taurus: Your goals are highlighted this week. Getting in touch with your creative pursuits at home can be especially liberating and lend to new expressions that positively impact your career. Your hopes and dreams can be more established this week. It’s a great time to window shop and explore the arts to give you inspiration and ideas. It’s a good week to purge yourself of fears and self defeating thoughts and replace them with love. Your heart can move you beyond the ego. You can liberate yourself from your past. Choose goals that raise you up. Gemini: You could learn a lot about communication and self expression this week. If you have a particular way you like things to be done, you’ll likely come to a realization this week it doesn’t have to be that way for everyone else. If you put love into your words and how you interact with others you’ll see the world in a new way that allows more freedom for you and others. By releasing some control, and allowing more flow in your interactions you can make life more enjoyable for you and those around you. As your thoughts transform, a sense of hope and worthiness returns. Cancer: Are your goals in line with who you are? Does your career reflect the type of person you really are? Your strengths, skills and assets can be used for putting your best foot forward this week if you are true to yourself. Money comes back into focus. This could be a time when you realize that paying off debt gives you freedom. Focus on loving the work you do and you’ll start to relate to your tasks differently. Focus on celebrating your life and you will be lead toward emotional richness. Leo: With your birthday month here, it’s time for new beginnings. There is a unique newness now that is about you redefining your philosophy on life. Just what is the meaning of your life? How do you define the purpose of your existence? Wisdom that is inside you can reveal itself to you by surprise now and kick off an abundance of inspiration. Self love becomes more important. Who you are, shared with others can bring mutual joy and benefit. Consider yourself to be fortunate. After all you have the Sun, Mercury, Jupiter and Venus in your sign this week, that’s a lot of positive energy that will help define your coming year. Your thoughts, hopes and wishes are everything. Virgo: Self-love continues this week. Adding love into how you live your life in the smallest moments of your daily routine changes you deeply within. Meditation on the heart chakra brings a greater sense of worthiness and connection to all that is. Joy in your spirit is so important for you now. If you are at all in a gloomy place in your life, think big, think beautiful, think creative, and visualize your highest aspirations to change your thinking processes and open new doors. You are starting a process of a metaphorical rebirth now that is meant to bring you towards greater freedom. Hope and trust carry you to new heights. Libra: The way you think about love is changing. It is so much bigger than romance. There is a way to communicate with your higher self and it starts with your heart. As the week progresses you get a reminder of how friendship and being with those who are happy lights up your life. Creative pursuits with friends is highly recommended now to help you flourish and feel empowered from a core place within yourself. Wherever you go, allow yourself to feel welcome. Entertaining and decorating for fun is good for you. Reach for your goals with a smile. Scorpio: Saturn goes direct in your sign this week. If you’ve been feeling self doubt and insecurity, it has been meant to bring you towards realizing yourself more fully. Digging deep down into those insecure places doesn’t feel great, but it does allow transformation to happen. Prepare yourself to move forward. You’ve learned so much about yourself the past few years through trials and tribulations and you’ve been redefined because of it. Your karma is yours to transform, and although it is a serious task, it is rewarding in the fullness of time. Focus on being honest and your decisions will become easier. Sagittarius: If you can be open to sharing your life and speaking openly you will feel liberated. If you haven’t focused on hobbies and the creative aspects of yourself, this is a good time to go within and explore. The act of exploring your interests will bring on a new freshness to your life and glimpses of inspiration will multiply. Be inquisitive and access your child’s mind where there are no boundaries to creativity. Approach life as if it were all entertainment for you to enjoy. It is a play, a theatrical production and you get to write the lines and play many parts among others doing the same. It is how you communicate and share your life where your greatest growth and wisdom is found. Your curiosity liberates you. Capricorn: You’ve learned a lot about the types of people you want in your life through trial and error. Your curiosity has taught you much about the human condition. It is those who are most honest and relatable to you that will continue from here. This is a time of rebirth for you in terms of friendships and moving forward in tune with a vision. Observing others has taught you what you do and don’t identify with. Understanding people allows you to become more fully you. Surround yourself with those who are karmic ties you know support your ideals. The work you do to be safe, sound, secure and liberated in life is highlighted to focus on this week. An outburst with family or those close could have you reconsider what freedom means. If there is a wrong conclusion you still have time to make it right. Aquarius: The Full Moon in your sign has you realizing yourself more fully this week. The lightbulb goes on. Uranus is also retrograde this week, which makes your life feel even more personally significant. The way you communicate gets redefined and renewed. Your relationships are blessed and you’re attracted to those who are the fullest expression of themselves. Love is also being redefined for you. This week, you will come to realizations that will inspire you to new hopes of freshness, aliveness and worthiness. Great emotional depth brings forwards imagination and creativity. Harmonious atmospheres provide support for emotional well being. Pisces: As the week begins you may feel a bit tired or irritable, but it does pass. What’s more important is a spiritual awakening that arises within you. You’re already a highly spiritual sign, but this Full Moon brightens up your connection to source. Moon gazing is good for your well being. This Full Moon would be a great time for you to create a little ritual in honor of your spirit. Practical approaches to spiritual principles invite you now. Artistic, theatrical and colorful approaches to your daily routine can liven you up and help you feel blessed and abundant. It is in the little, fun details you add to your day that uplifts you now.